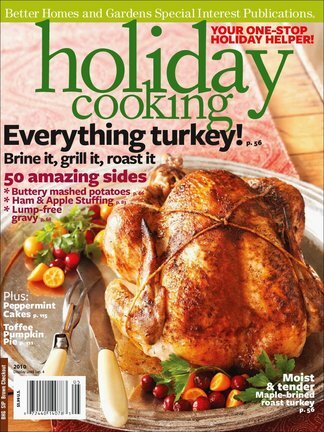 An indispensible guide for anyone hosting Thanksgiving or Christmas dinner, Holiday Cooking features three ways to cook the perfect turkey plus recipes for beef and pork roasts, side dishes, and desserts. To ease the last-minute rush, every recipe can be made ahead. Special sections include table-setting and etiquette tips. Be the first person to tell us what you think about Holiday Cooking and you'll save $5 on your next purchase!